Front Page » Top Stories » Who will steer negotiations to bring in Formula One race? A power move may be in the making between City of Miami and Miami-Dade County over who will steer negotiations to bring a Formula One race to the area. Each government has tapped its own point man to lead the talks. The city commission on May 10 directed City Manager Emilio González to negotiate the holding of race events in Miami, and the county commission agreed Tuesday to authorize its chairman, Esteban Bovo Jr., to negotiate with Formula One. Mayor Carlos Giménez recused himself. An early proposed race route had included the area behind AmericanAirlines Arena, property owned by the county known as Parcel B and home to a park. The bayfront parcel is in County Commissioner Audrey Edmonson’s district and she was not having it. Ms. Edmonson was adamant that the county board remove Parcel B from contention for any part of the Formula One course. After much debate, and a plea from a Formula One representative not to limit the course options, Parcel B was not included in the final approval. In the city’s resolution, it says commissioners support the efforts to bring FIA Formula One World Championship racing to the City of Miami for 10 years, from 2019 through 2028, with the first Formula 1 Miami Grand Prix taking place in October 2019. And the city will also coordinate as necessary with other entities such as Miami-Dade County, Florida Department of Transportation and PortMiami, the resolution reads. The agreement must be brought back before the city commission for final approval. A map provided to city commissioners showed the potential race course which would have cars looping around AmericanAirlines Arena, traversing a portion of Biscayne Boulevard, onto a half-circle entry drive to Bayside Marketplace, and onto Port Boulevard to PortMiami and back on Northeast Sixth Street. The language of the county’s resolution mentions a host municipality. County Commissioner Dennis Moss urged county officials to make sure lines of communication were open among the county, PortMiami and the City of Miami. Mr. Moss also suggested talks include the Miami Heat – whose home court is AmericanAirlines Arena – and NASCAR in Homestead, to ensure no negative impact from a Formula One race in Miami on those venues. But Mr. Moss also voiced concern about the county appearing to take control of the entire event. “The last issue is what the mayor and the chair, what are they going to be expected to basically do in this process, and that is, we don’t expect the county to come in and somehow take control of this process in any kind of way. I just want some clarification for what is expected of Miami-Dade County,” Mr. Moss said. Commissioner Jose “Pepe” Diaz, prime sponsor of the county’s resolution, characterized the legislation as a simple and basic directive that would allow negotiations to begin. “It’s a skeleton-type of resolution if you look at it … to specifically give the ability to the chairman and the people involved to negotiate and help the City of Miami land this event that the world would go crazy to have,” said Mr. Diaz. Mr. Diaz made a brief appearance at the city commission’s May 10 meeting, touting the huge economic benefits of securing a Formula One race for the city for a decade of races. 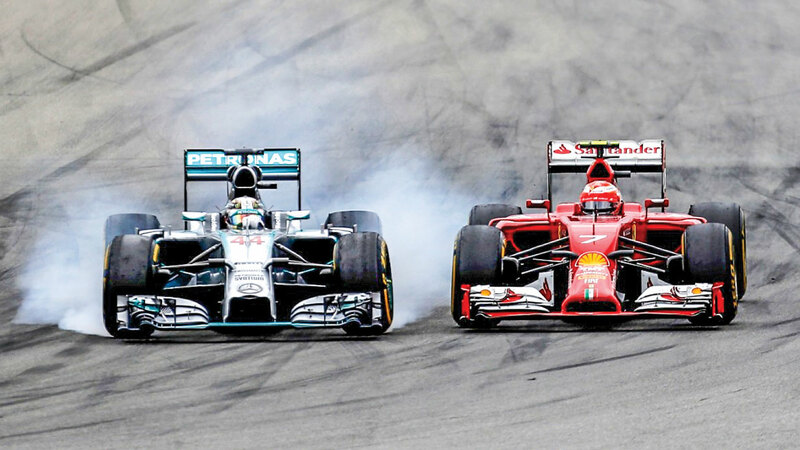 Formula One delivers significant economic benefit to its host locations. The Formula 1 United States Grand Prix at the Circuit of the Americas delivered $2.8 billion of total economic benefit to the Austin, TX, metro area between 2012 and 2015. The organization boasts of generating a material uplift in tourism activity and in 2017, on average more than 200,000 people attended each Formula 1 Grand Prix race weekend, including a large number of international visitors. And the auto sport giant provides host locations with significant global exposure and media value. City Commissioner Joe Carollo was successful in adding a requirement to the city resolution that the Bayfront Park Management Trust have a seat at the negotiating table. City of Miami Mayor Francis Suarez voiced support for the proposal, mentioning the global spotlight and financial gains to the area. Mr. Suarez said the entire deal needs to be vetted by the community, and city leaders must consider the concerns of the many new downtown residents. One Response to Who will steer negotiations to bring in Formula One race? This has all the makings of a complete disaster for the residents and the taxpayers. Mention the ‘potential monetary benefits ‘ and politicians are falling all over themselves. This formula race will charge Miami a large fee for the privilege of destroying downtown. Formula One should go to Homestead where the disruptions are less and the ‘potential’ benefits will be of greater value to the residents there.